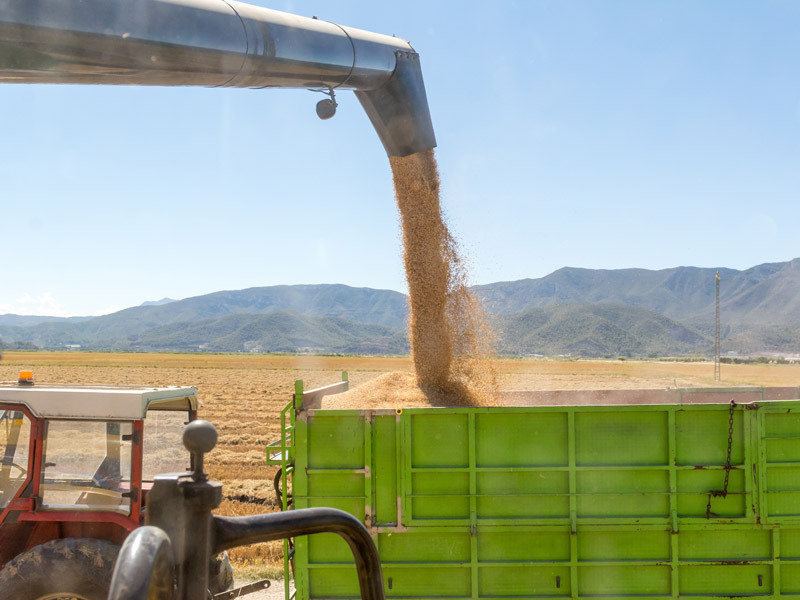 Scientists from Purdue University and the Chinese Academy of Sciences report the use of CRISPR/Cas9 to develop a variety of rice producing 25-31% more grain than traditional breeding methods. 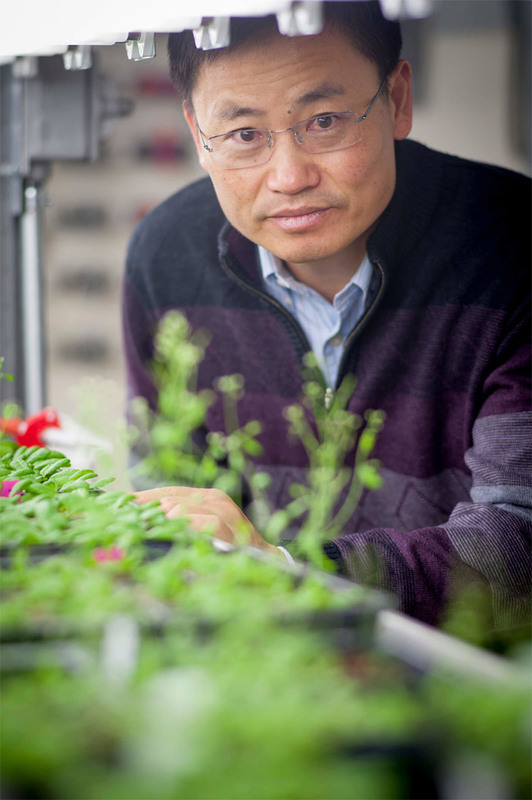 The team, led by Jian-Kang Zhu, a distinguished professor in the Department of Horticulture and Landscape Architecture at Purdue and director of the Shanghai Center for Plant Stress Biology at the Chinese Academy of Sciences, made mutations to 13 genes associated with the plant hormone abscisic acid – known to play roles in plant stress tolerance and suppression of growth. Of several varieties created, one produced a plant that had little change in stress tolerance but produced 25% more grain in a field test in Shanghai, China, and 31% more in a field test conducted on China's Hainan Island. Zhu's team silenced suites of pyrabactin resistance 1 (PYR1)/PYR1-like (PYL)/regulatory components of ABA receptor (ACAR) genes, or simply, PYL genes. These genes enhance tolerance of abiotic stresses, such as drought, soil salinity and other environmental factors, but also inhibit growth. Since plants have evolved to create genetic redundancies, especially for traits required for survival, knocking out one gene in the PYL family might not have much effect on stress tolerance or growth since redundant genes can kick in to provide a similar function. Crafting the right knockout combination, however, led to a plant that uses just the right redundancies to hold onto its stress-tolerance characteristics, but reduces the growth inhibition. "There is lots of evidence that although each PYL gene may have an individual specialty in function, by and large they also share some common functions," explains Zhu. "When you remove one, others will function as a replacement." 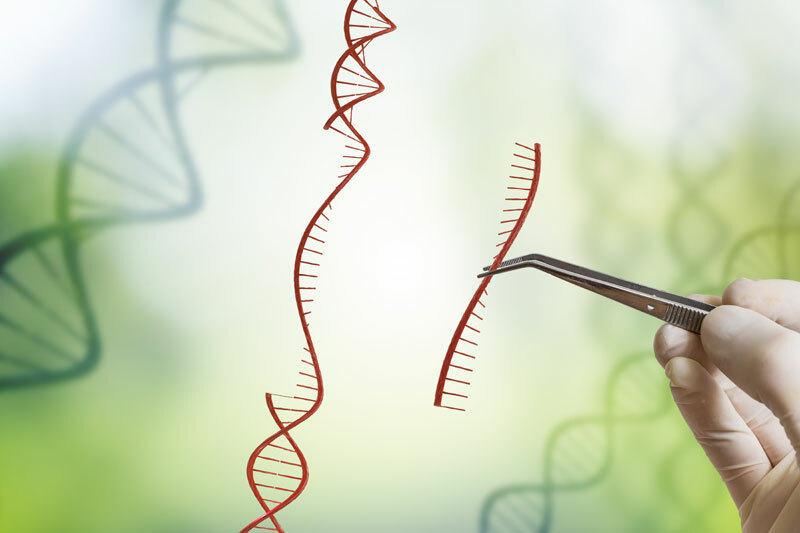 The CRISPR/Cas9 technology allows plant breeders to quickly and accurately snip portions of DNA out of a sequence, editing the DNA code. This method enabled Zhu's team to modify multiple genes at one time – something that would have taken decades to do with traditional methods without a guarantee that the resulting plants would have the desired characteristics. "You couldn't do targeted mutations like that with traditional plant breeding. You'd do random mutations and try to screen out the ones you don't want," explains co-author Professor Ray Bressan, also from Purdue. "It would have taken millions of plants. Basically, it's not feasible. This is a real accomplishment that could not have been done without CRISPR." The improved rice plants created in these experiments come from a common research line. The next step is to use CRISPR/Cas9 to edit the same genes in elite varieties of rice, to determine if those will also show similarly improved yield. "If this holds true for the varieties that farmers currently use, this big increase in yield would be very important," Zhu concludes. "It would really help produce a lot more grains to feed more people."